Last week, my second Memebox order arrived in the mail! I didn’t expect to order again from them so soon, but with Valentine’s Day coming up, they had a few promotional items I couldn’t resist. As usual, the ordering process was pretty seamless and I received my package a day after it shipped. 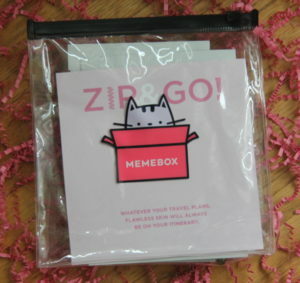 I suppose it helped that Memebox’s warehouse is located in the Bay Area relatively close to where I live. There were a few other things I wanted to buy including V-Day, Spa Day by Memebox, but I first need to finish my current stash of sheet masks and spot test several products! Having successfully added snail secretion filtrate to my routine and currently testing out products with niacinamide and ceramides, I knew that galactomyces was the next ingredient I wanted to try out due to its brightening and anti-aging effects. Upon reading reviews, I narrowed it down to this product and the Galactomyces 95 Brightening Power Essence made by COSRX. I ultimately went with Manyo Factory because of the slightly higher galactomyces content. In the future, I may try out COSRX’s version because it offers twice the amount of liquid (100ml vs 50ml) for almost the same price as Manyo’s. 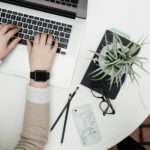 Not comparing product amounts was an unfortunate oversight on my part! For now, I’ll take satisfaction in the fact that I’m getting the same main ingredient as SK-II’s Facial Treatment Essence for a fraction of the cost! I’ve been seeing ads for peel-off lip tints on Facebook for a while now. Since this lip tint was 75% off and available in an everyday peachy color, I decided to give it a try! As someone approaching her mid 30s, adding an eye cream to my routine is something I probably should have done years ago. 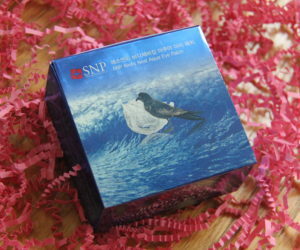 I decided on SNP’s Birds Nest Aqua Eye Patch because they had good online reviews without the Sulwhasoo price tag! In the past, I’ve had issues with eye creams causing milia so hopefully that doesn’t happen with these patches. I normally don’t like to buy sampler sets because I ended up wasting most of the samples. However, for $10 this is a great deal especially considering you get 3 full sized masks and 12 samples. 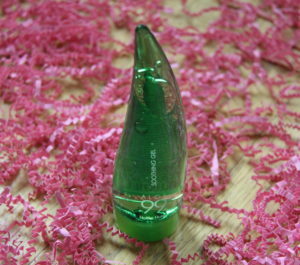 I was planning to try a number of these products in the future anyway, including the ones by Mizon, Manyo, and COSRX. When I finally start spot testing Manyo’s galactomyces product, I’ll likely use the sample first! 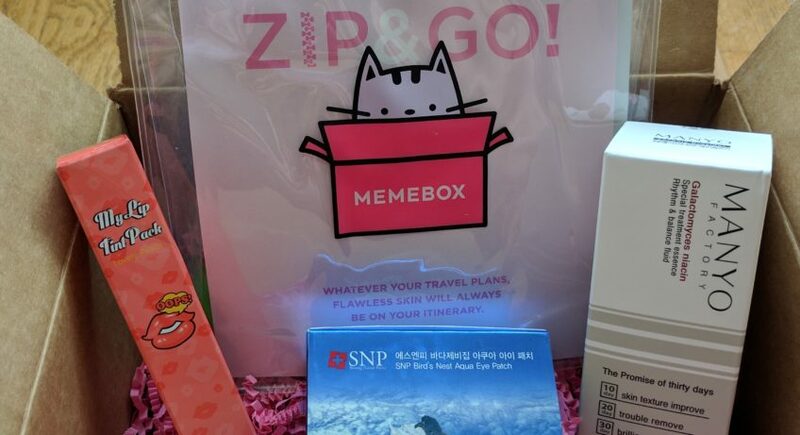 Ultimately, what really sold me on Memebox’s Mini K-Beauty Zip n’ Go Sample Set was the mini bottle of the Holika Holika travel gel. I’m a sucker for cute packaging! 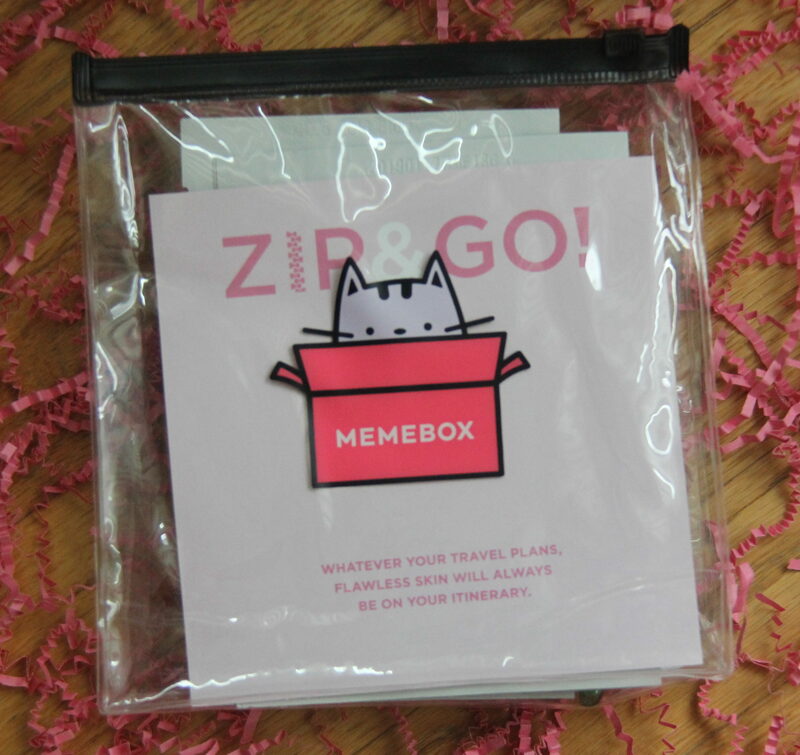 While I’m currently spot testing a few other products right now, I look forward to trying out these new Memebox purchases soon!